After many months of careful planning and co-ordination, the day had finally arrived for us to go on our Mission in the beautiful region of South Africa, called The Valley of a Thousand Hills. 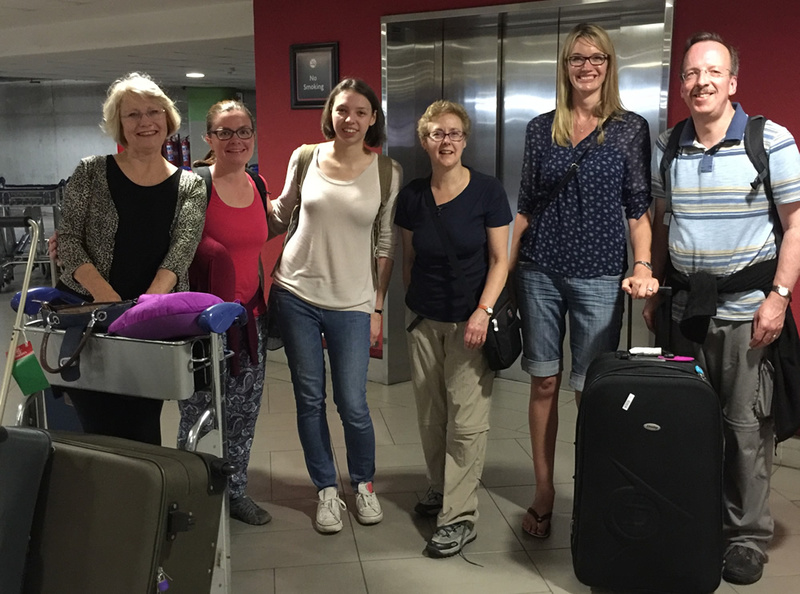 We were a group of six Christians, two optician’s one dispenser and three enthusiasts that met up at King Shaka International Airport in Durban excited see what the Lord had planned for us in the following week. 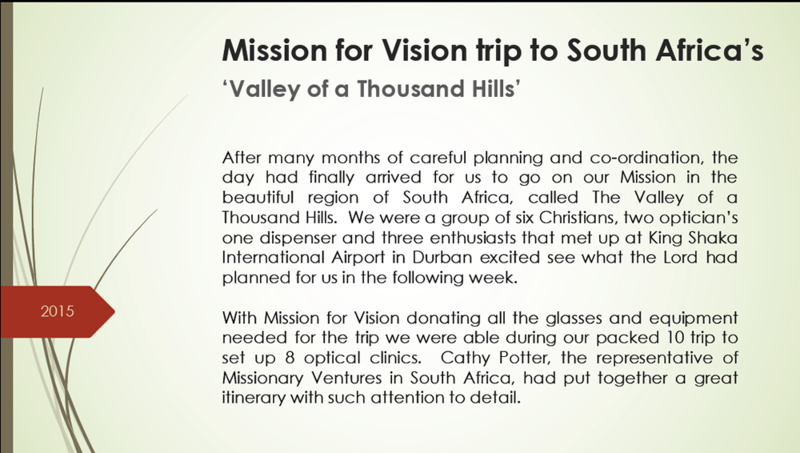 With Mission for Vision donating all the glasses and equipment needed for the trip we were able during our packed 10 trip to set up 8 optical clinics. Cathy Potter, the representative of Missionary Ventures in South Africa, had put together a great itinerary with such attention to detail. Click on the image below to find out more about this trip.